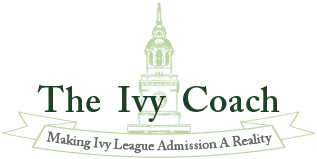 Ivy Coach’s help with your college essays can mean the difference between an acceptance and a denial. If you’re applying Regular Decision to college (either because you didn’t apply anywhere Early Decision or Early Action or you know better than to wait until you — possibly — don’t get in to start working on all of your Regular Decision applications), you may need help with your college essays. We are offering a special college essay package this year for students applying Regular Decision. Simply email brian@theivycoach.com with the essays you’ll need help with as well as the word counts and we will respond to you with our fee. Many students (and especially their parents) feel that their college essays might be in great shape. But maybe if students and their parents could be a little bit more objective, they would get it when we tell them that of the hundreds and hundreds of college essays we have read here at Ivy Coach in the over twenty years we’ve been in business, we can recall only one essay that was so wonderful that we didn’t need to make any revisions. To be blunt, just about every college essay that students and parents send us to work on are absolutely terrible. And while you might think that your son or daughter’s essay — or that your essay — is the perfect essay, the fact is that it’s probably just as awful as all of the others we’ve been asked to read by parents who are just a wee bit too biased about anything that their offspring might do! And just because you think you might be done with your essays because you applied Early Decision or Early Action and you’re planning to use that Personal Statement for the Regular Decision round should you not get in during the Early Round, that strategy will certainly backfire! Why would you submit an essay that could possibly hurt your candidacy? So that you can make the same mistake over and over again? Oy vey! Learn from your mistakes. It’s certainly not too late to get to work making major essay revisions so that your essays can help you stand out from the pack of college applicants. Our help with your college essays can make all the difference. We’ve been doing it for over two decades.